Ahoy, me hearties! Fine people o' fortune be ye! Today is International Talk Like a Pirate Day, so we give a mighty heave-ho to them fancy words, and ask ye to do the same. All ye need to do is sprinkle in a few aarghs throughout the day, and if someone makes ye mad, hang from the yardarm. To have yer avast! 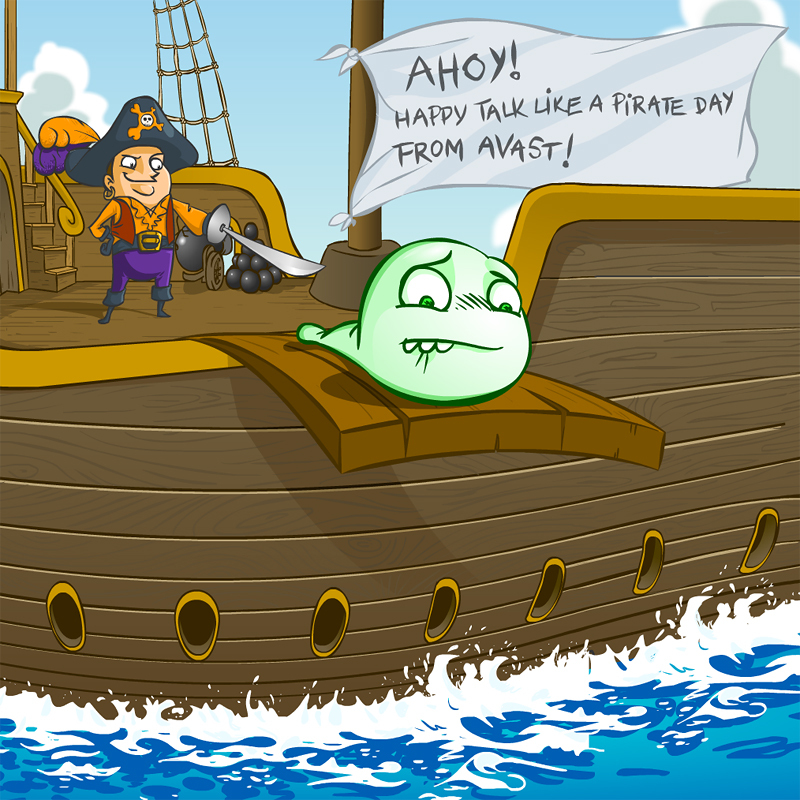 Antivirus talk like a pirate, visit our avast! Voices on Facebook, and get the Pirate theme.